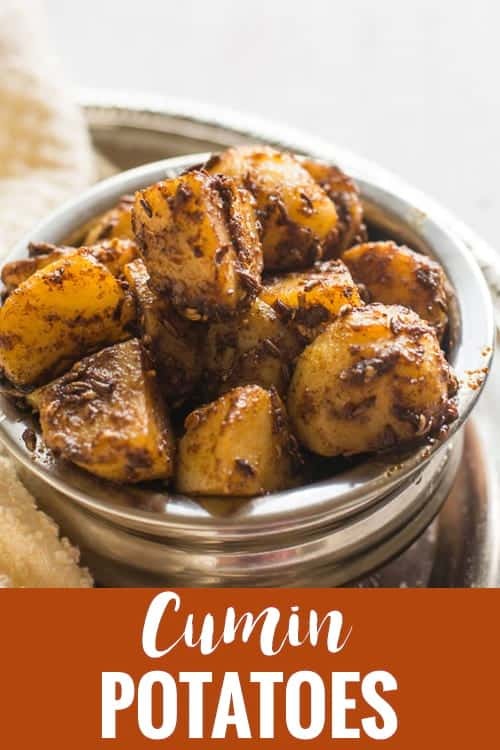 Jeera aloo, Indian cumin potatoes can be made in few minutes without any hassles. This recipe required lesser ingredients, best suited to make as a side dish for lunch boxes or as a side dish for the dinner. Jeera aloo recipe here is followed by step by step pictures and a quick video. Jeera aloo comes to rescue for bachelors, spinsters and for the busy moms. The word ‘Jeera’ refers to cumin and ‘Aloo’ refers to potato. So this jeera aloo can be blindly translated as cumin potato. If you are looking for other easy to make Indian recipes? then look into Potato Cutlet, Bread Poha, Cucumber Raita. This recipe becomes super quick if you have boiled and peeled potatoes handy. To make everyday cooking easier, you may boil and peel the potatoes whenever you have leisure time. And they can be refrigerated in an airtight container and it stays good for about 4-5 days. And you may also deep freeze it for longer use. Crushed coriander seeds are added here. It brings lots of aromas, but substitute it with coriander powder if you do not find the time. Garam masala added here are optional. 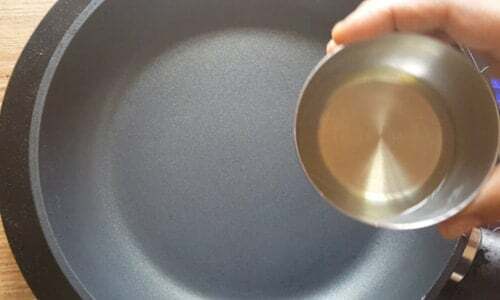 In medium heat, in a pan add 3-4 tbsp of cooking oil. 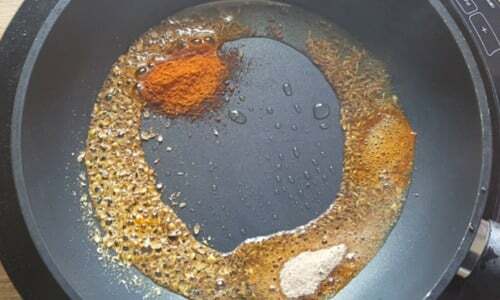 Followed by 1 tbsp of cumin seeds. Allow it to splutter. Then add chili powder, garam masala and amchur powder. Fry them for a second, until it leaves out nice aroma in the air. Add boiled, peeled and cubed potatoes. 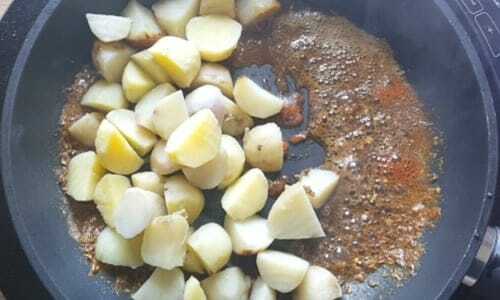 Fry them until this masala mixture coats well the potatoes. Serve hot along with roti or white steamed rice. 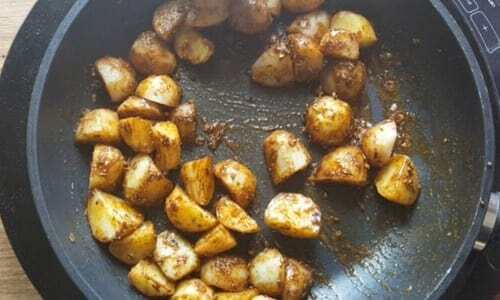 Jeera aloo, cumin potatoes, an easy stir-fry recipe. 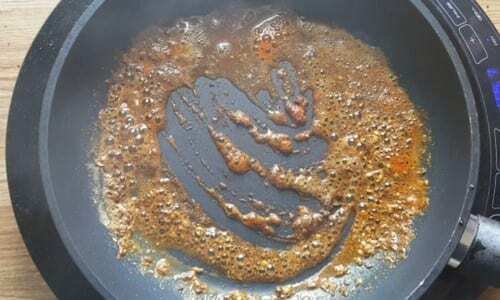 Make this dish in few minutes with step by step pictures. 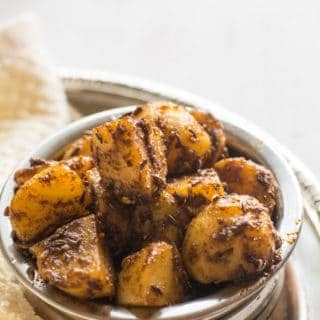 A popular street food in India made with baby potatoes and spices. Add boiled, peeled and cubed potatoes . 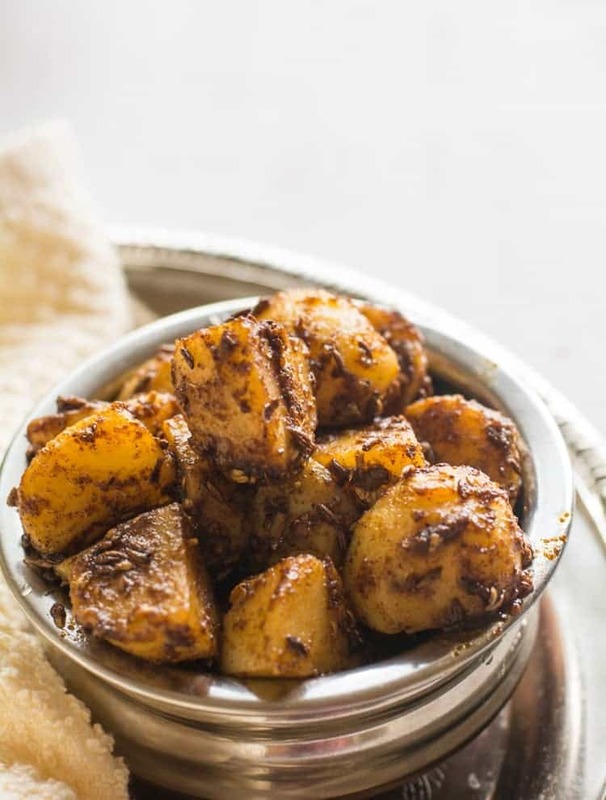 Serve Jeera Aloo hot along with roti or white steamed rice. Didn’t know JEERA ALOO could be so easy to make. One of my favorite during my time in Odisha State. Question, is Armchur the same as Armchoor? It’s very difficult for us to find this. Any suggested substitutes? Hey Ron, that’s nice to hear. Amchur / anchor are the same. It green mango powder, neutral in flavor and tangy in taste. Few drops of Lemon juice can be a good substitute. But I would suggest not to include it if it is not available. Without amchur powder also, these cumin potatoes do taste good. Do you have this recipe for the instant pot ?? Looks amazing ! Absolutely, you can make this recipe with Instant pot also. First, cook the potatoes in Instant pot. Secondly, saute them in the saute mode in Instant pot.